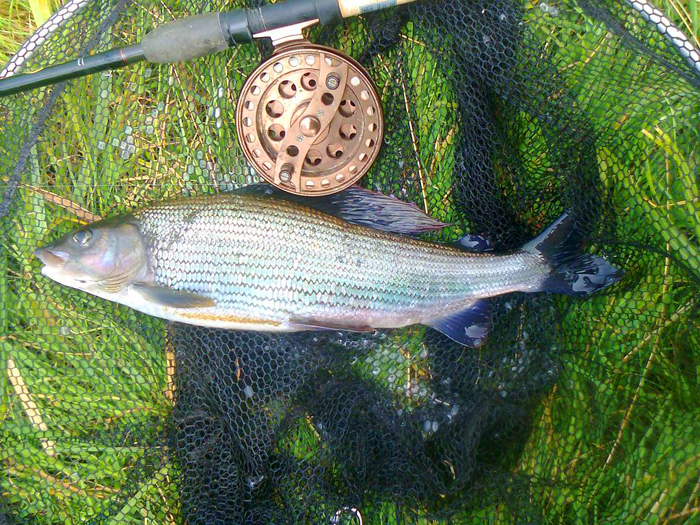 After we'd been fishing last week my pal Richard gave me a couple of his little Rooster Tail spinners to try. 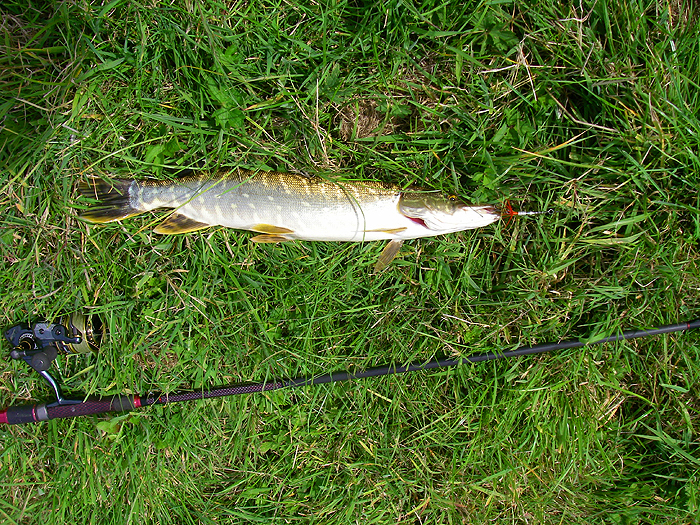 They are clearly very effective for perch and small pike and I thought that they might work well for seatrout too. On my next trip the new spinner was attached to the little wire trace. I walked the river bank generally casting upstream and spinning it back fast enough to keep it working with the flow - always a good technique. 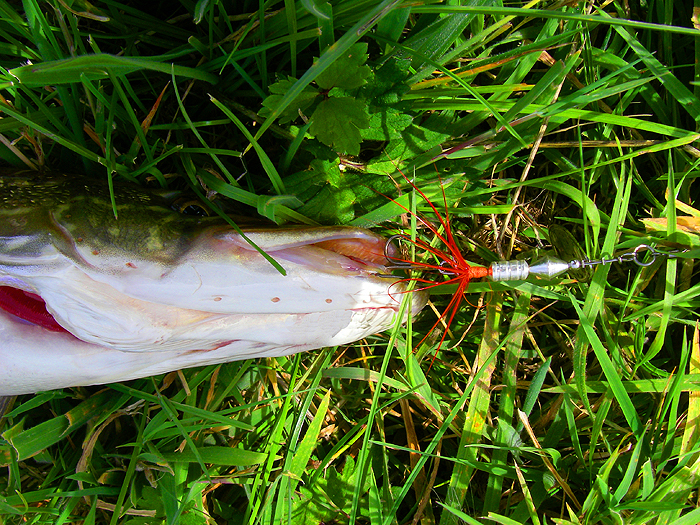 Since the lure was made of metal it sinks and so it was easily possible to fish deeper than with my usual Rapala. As a result I was able to search some of the deeper pools where I usually just scratch the surface. 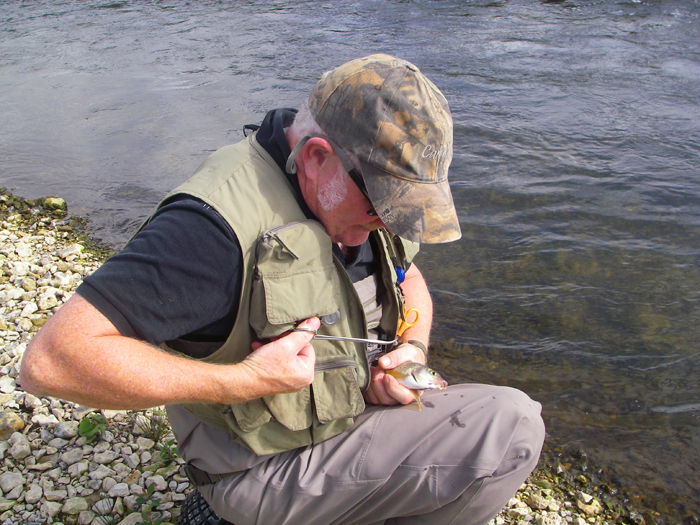 Sure enough the little spinning blade tempted fish and it wasn't long before I had a jack and shortly afterwards another one. Nigel who was fishing with me was using a large soft plastic Slandra. Not surprisingly the fish attracted to his lure were distinctly larger - well into double figures, unfortunately they all avoided the hook. After the jacks I had a couple of seatrout of no great size but as usual they were lively little devils jumping and cartwheeling all over the place. We enjoyed our fishing so much that we decided to have another go a couple of days later. The river was still very low and gin clear. 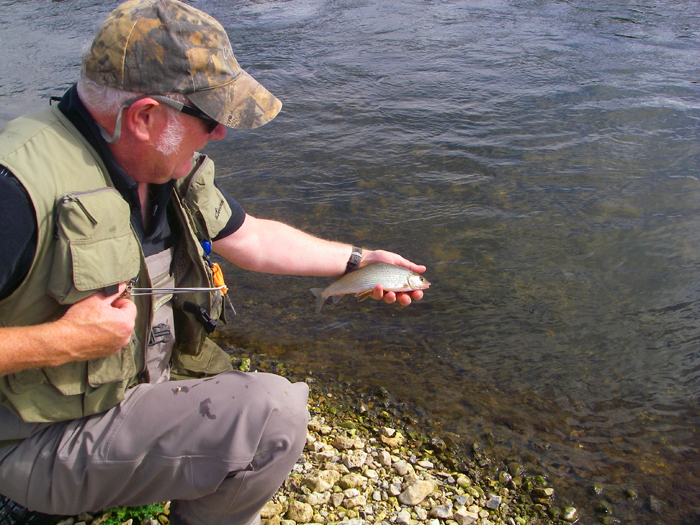 This time Nigel opted to trot maggots for grayling using his centrepin reel and he did very well with the best part of a dozen fish up to two pounds nine ounces in weight. 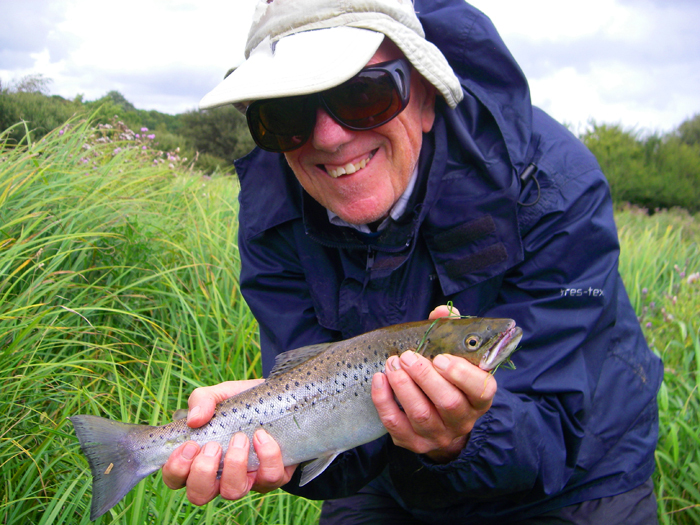 He also had a couple of decent trout. 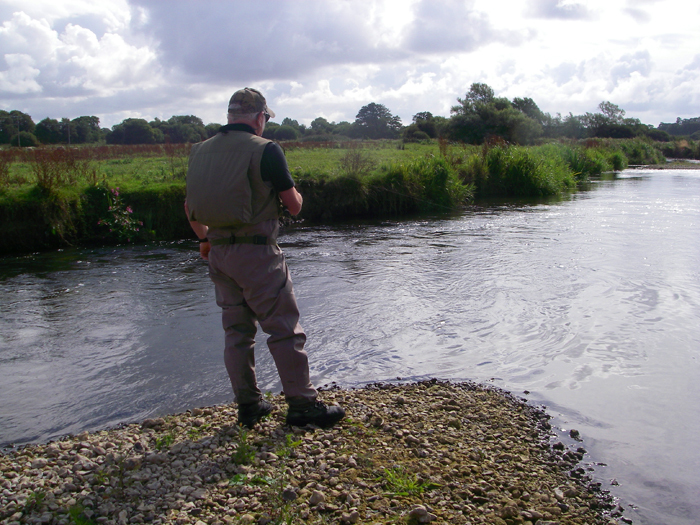 I stuck to the little spinner again and this time I only landed one small seatrout but I did have a brief contact with a nice salmon and a close follow from a double figure seatrout - both in the deeper runs that I was able to comb with the spinner. All in all very satisfactory and encouraging for next time.